Bed bugs have made a worldwide comeback. Unfortunately, they’re turning up in many surprising places, such as fancy hotels, hospitals, college residence halls, offices, laboratories, airports, and maybe even your home. Why Are Bed Bugs Becoming More Common? Many experts consider globalization a major culprit. People and goods are traveling more widely and in greater numbers than ever before, plus most people do not think of bed bugs nor have any idea what they look like. 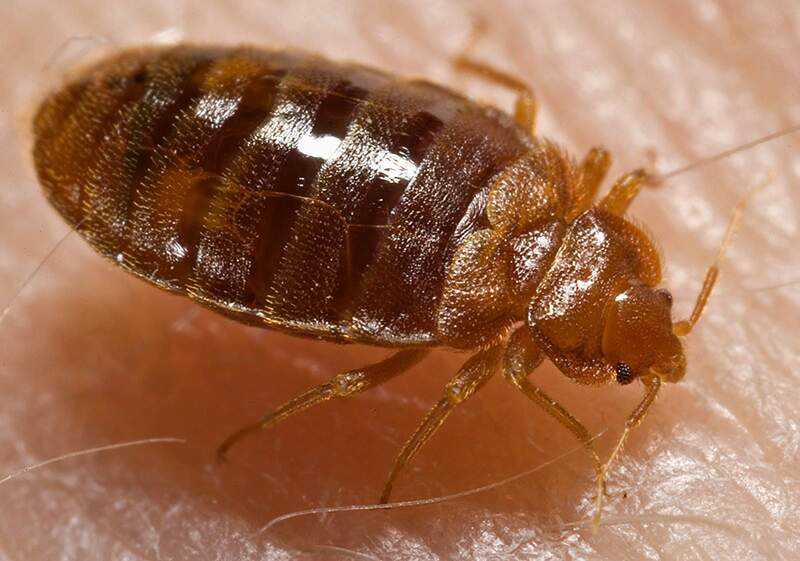 Bed bugs are small, easily overlooked, often nocturnal, and can live for months without eating, making them perfect stowaways in luggage, backpacks, and shipping crates. Adult bed bugs are around 1/4 inch long and reddish brown in color, while immature stages (nymphs) begin at 1/32 inch after hatching from the egg. Young nymphs are flattened and more or less white to translucent, later straw‐colored, but after feeding will be plump and red. They will feed and grow over a period of a few months or longer through 5 instar stages. Each instar stage requires at least one blood meal to mature and grow. Fully fed adults are reddish brown and somewhat football shaped. Adult bed bugs feed to gain nutrition, to produce eggs and sperm, and ultimately to reproduce. Eggs are sticky and deposited in furniture, wall and floor cracks and crevices, and any other places where bugs hide. What You Should Do About a Bed Bug Infestation? First, relax. For most people, bed bugs are more of a nuisance than a medical threat. 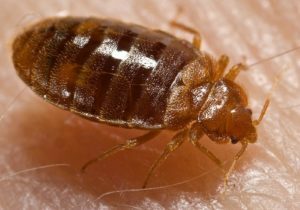 Although they feed exclusively on blood, bed bugs are not known to transmit any diseases to humans, but often will produce welts and extreme itching. They may be horrifying to some, but they pose less risk to us than do mosquitoes and ticks. The best strategy to deal with bed bugs is integrated pest management, a system that combines a variety of practical techniques and products that pose the lowest risk to our health and to the environment. First and foremost, there is no getting around it: if you want to get rid of bed bugs, you need to clean and get rid of the clutter, especially in your bedroom. The bugs are not the result of clutter and dirt, but clutter gives them many places in which to hide and escape detection. Bed bugs are not restricted to beds, but infest all types of furniture, moldings, wall voids, w/w carpeting tack strips, and even electronics, including clocks, radios, computers and printers. Remove things they could hide behind or underneath, such as wall hangings (pictures, posters), and area rugs and bag securely. Clothing should be washed (hot cycle) and placed in dryer on medium to hot or, if already clean, at least placed in the dryer for 1 hour. Heat‐dried clothing must be retained in plastic bags or special (covered) plastic bins and not placed back into dresser drawers until after the second treatment. There is no single tool or activity that, if used alone, will eliminate bed bugs, including pesticides. Multiple techniques are required because bed bugs are small, good at hiding, and can live for long periods of time without feeding. With your cooperation, however, bed bugs can be eliminated. If you have any questions, do not hesitate to call us today! Should you have any items in your home that may be stained or defaced by water, please identify these items prior to the service being performed. We will avoid any areas that may be harmed, but can accept no liability for damage done to areas that were not specified.